Forest Hill, MD — CadmiumCD and Showcare, two leading event management software providers, announce their plans for partnership during ASAE Annual Conference. Showcare will provide CadmiumCD clients with registration and hotel contract management services to add to the CadmiumCD Event Management Platform’s suite of offerings. Together, CadmiumCD and Showcare cover the entire conference management cycle, from abstract, to registration to app. The partnership is an example of how CadmiumCD strives to bring events together, and both companies are committed to providing a seamless user experience for clients. The greatest benefit of the new partnership is that data from Showcare registration systems integrates with the myCadmium Dashboard. Speaker, exhibitor, and attendee data can be shared with CadmiumCD’s submissions and reviews, speakers and exhibitor management, and attendee engagement products. A step-based registration process developed by Showcare event management specialists to help clients create a user-friendly experience. 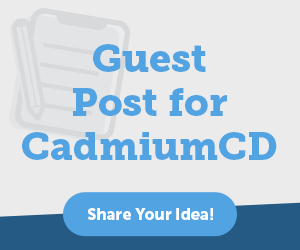 Access to the CadmiumCD Event Management Platform and myCadmium Dashboard, plus support from CadmiumCD project managers. Integration with membership and association management databases like iMIS. Self-service check-in and registration, and simplified hotel reservation, contract negotiation management, and room block management. A single platform to manage speakers, exhibitors, and attendees, with updates to multiple databases via web services. With 12 products that range from call for paper submissions, to onsite communications tools, CadmiumCD has built a strong platform for content management and distribution. Showcare offers leading registration solutions and housing management tools. Together, CadmiumCD and Showcare cover the entire conference management cycle before, during and after your event. 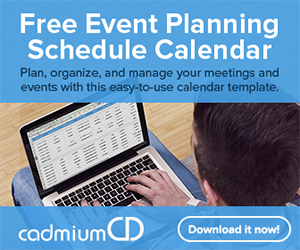 CadmiumCD is an event software company with more than 15 years of experience providing on-demand content management solutions that streamline the workflow for Meeting Planners, Exhibition Organizers, Education Directors, and Attendees. The company’s award-winning software is trusted by more than 3,500 meeting professionals worldwide. Its software platform makes it easy to collect, manage and share content to all event stakeholders through its modules: Call for Abstracts, Speaker & Exhibitor Data Management, Digital Content Publication, Audio Recordings, Digital Poster Galleries, Online Itinerary Planners, Interactive Floor Plans, Native Event Apps, and Post-Conference Evaluations. For more information, visit www.CadmiumCD.com or email info@cadmiumcd.com. Showcare has been a leading full service provider of integrated event registration, housing, lead retrieval and membership management services since 1982. Showcare’s registration is a simplified step-based process allowing registrants and administrators the ability to manage information with ease. An involved event management team of specialists works together to help our clients achieve success in creating a user-friendly experience. Showcare has consistently proven to be a highly reliable on-site partner. We attribute our success to our people, methods and technology. Our people bring knowledge with years of experience, provide sound suggestive advice and ensure that processes are streamlined for ease of use and on-site efficiency. For more information, visit www.showcare.com or email info@showcare.com.